Hello and welcome to my blog. Today I have the most gorgeous and sparkly card to share with you. This beautiful creation was made by my team leader, Leonie Schroder. I was lucky to receive this card as part of a Holiday Catalogue card swap I joined. It is so hard to photograph the sparkle on this card, but believe me , it's there. It's there on the trees and the grass. It truly makes for a spectacular card. Perfect for the Winter Woods trees. 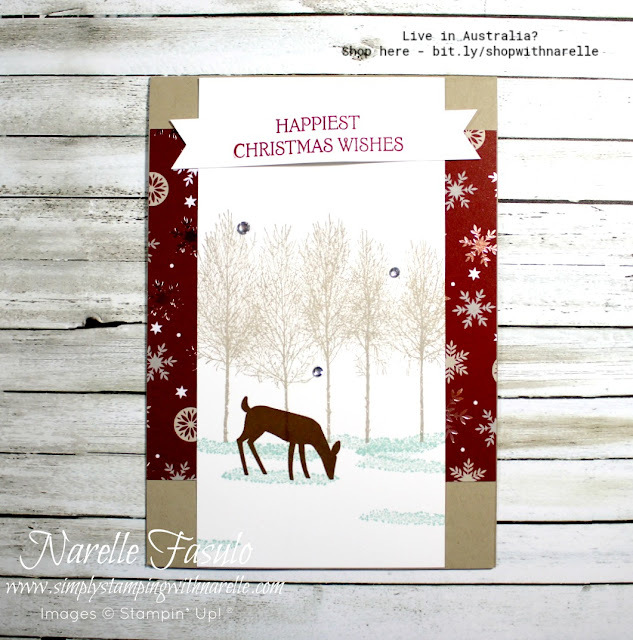 These are very delicate trees and are the perfect look for a winter scene. 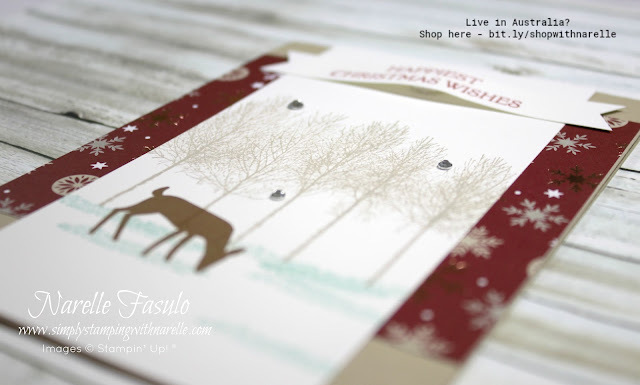 This is definitely a calming card and you can just imagine the peace that this winter scene evokes. To purchase any of the products used on this card, please see the product list below.